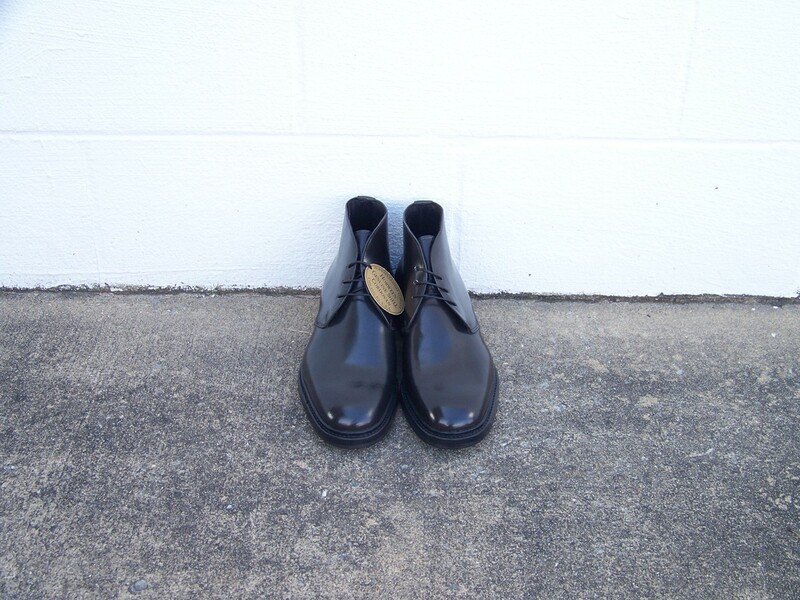 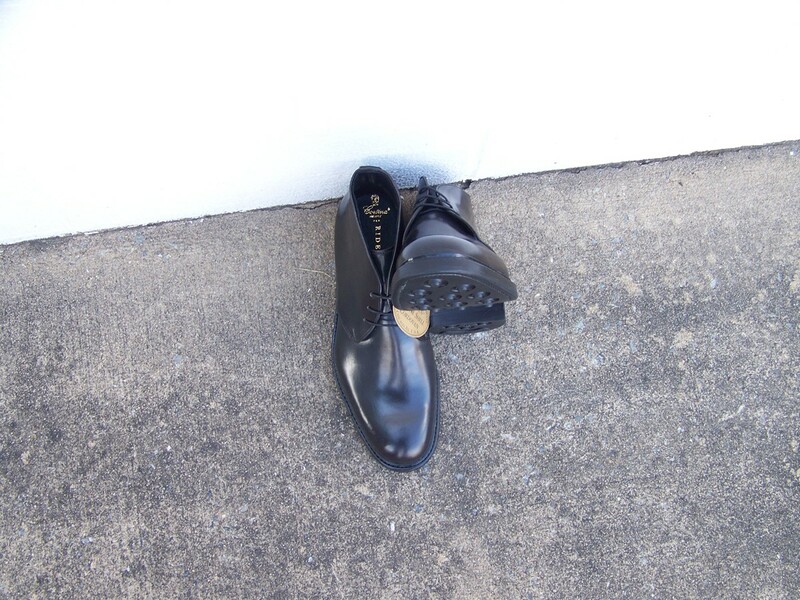 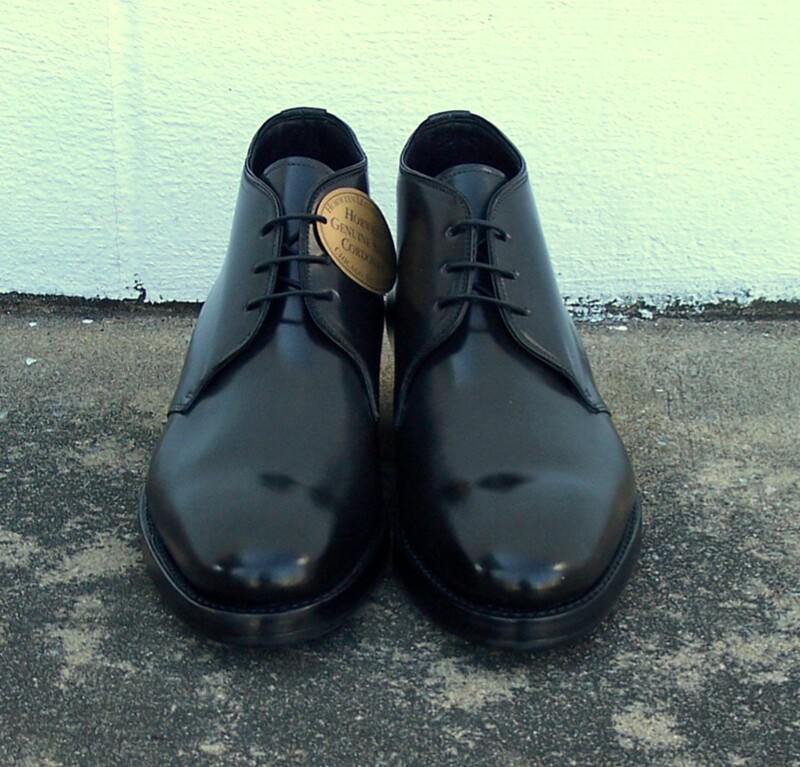 RBCB4 in Black Inca Grain Calf…. 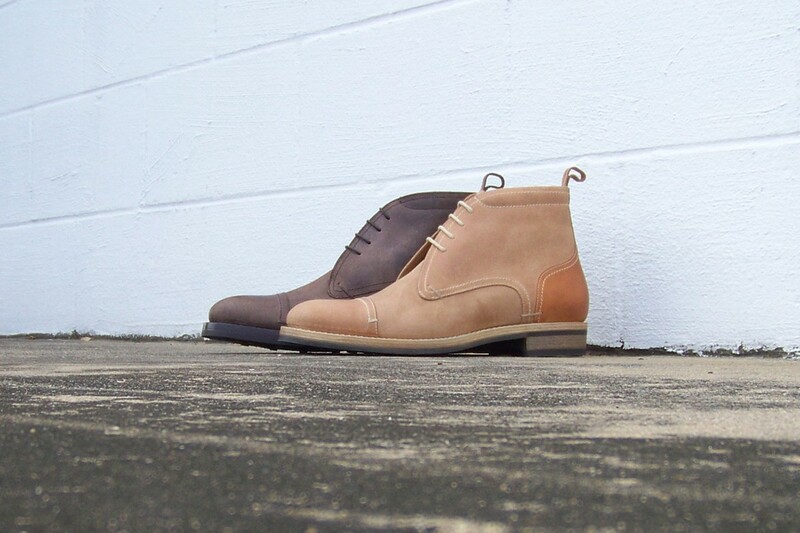 This chukka is one of my favorites. 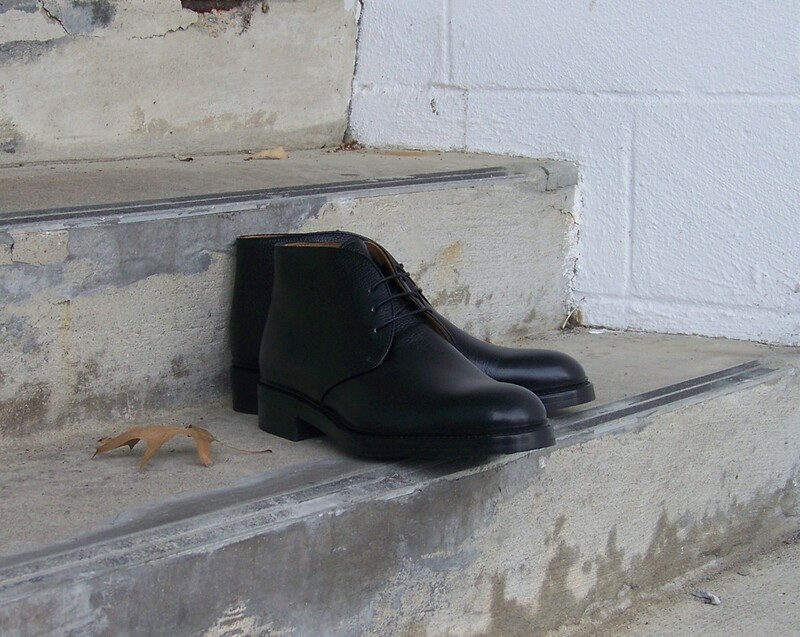 Built on the great fitting 95 last and featuring a storm welt and Sestriere soles and heels, this classic chukka will take you anywhere – and for a long time. 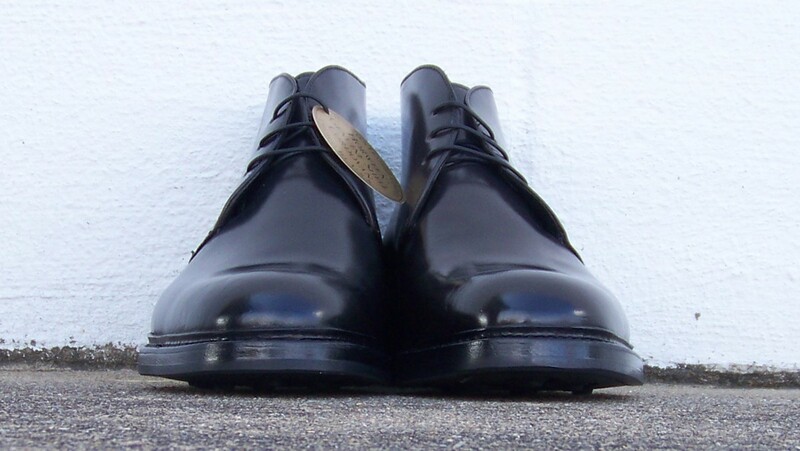 Should be hitting Pelle Line in Paramus, NJ this afternoon. 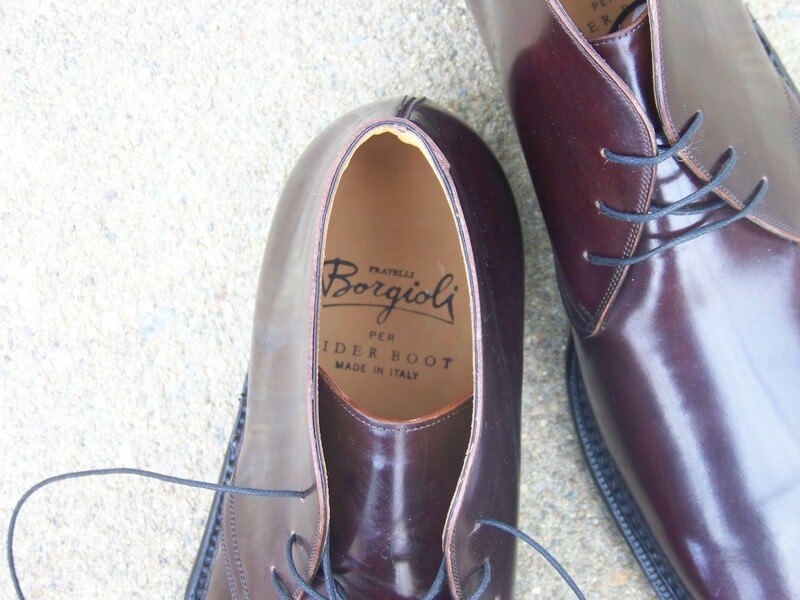 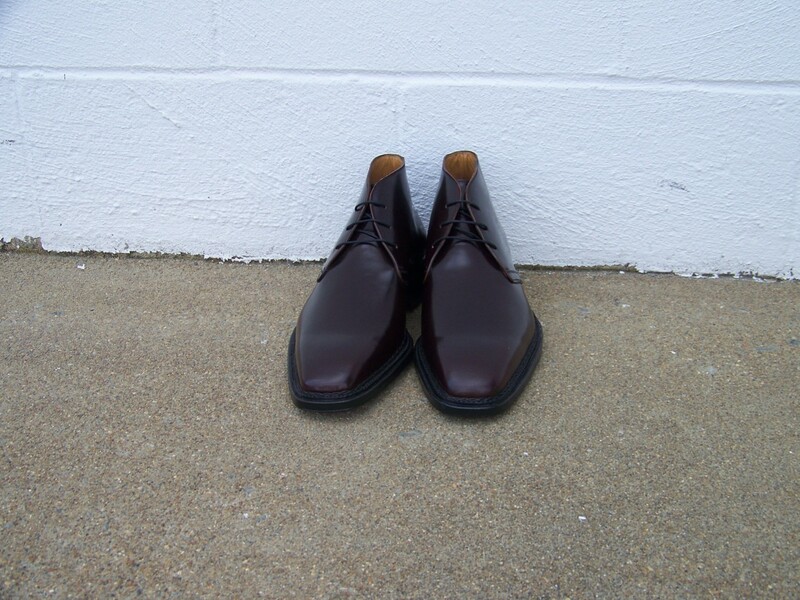 The first chukka done in this great, and rare, color was the RBCB3, and it is virtually sold out. 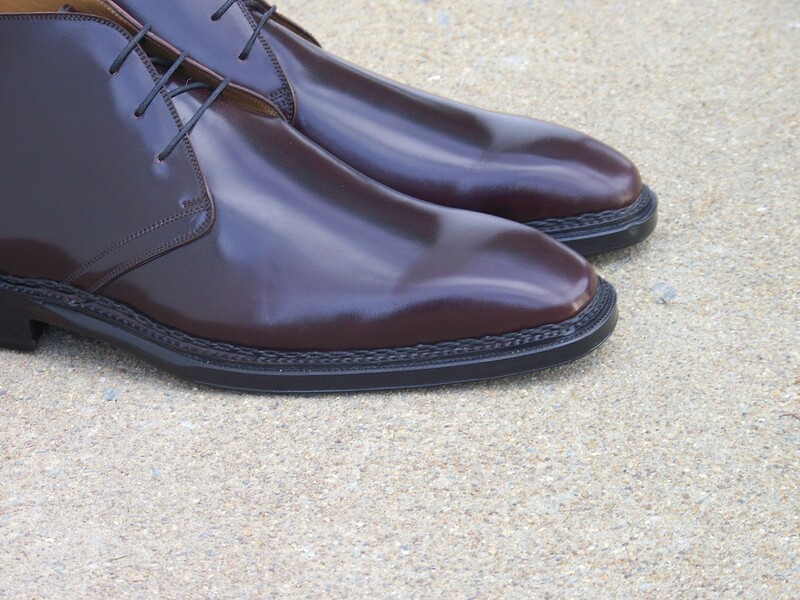 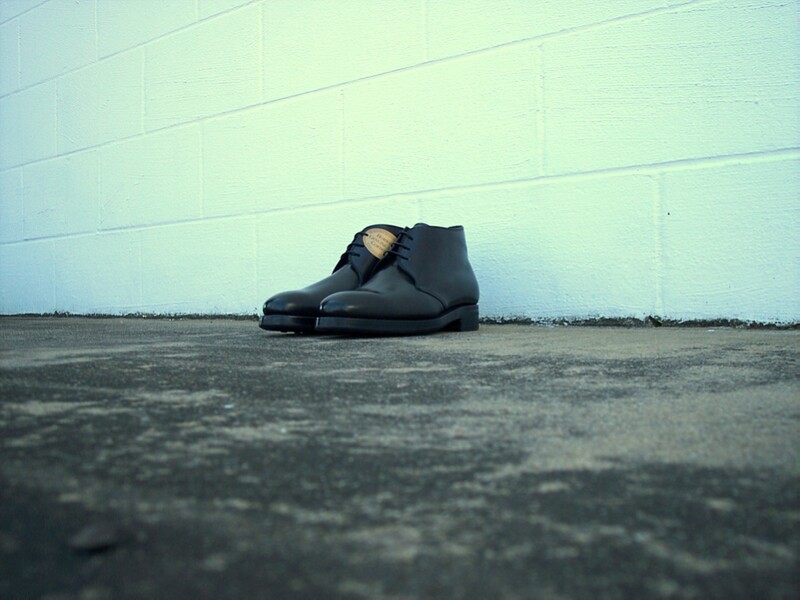 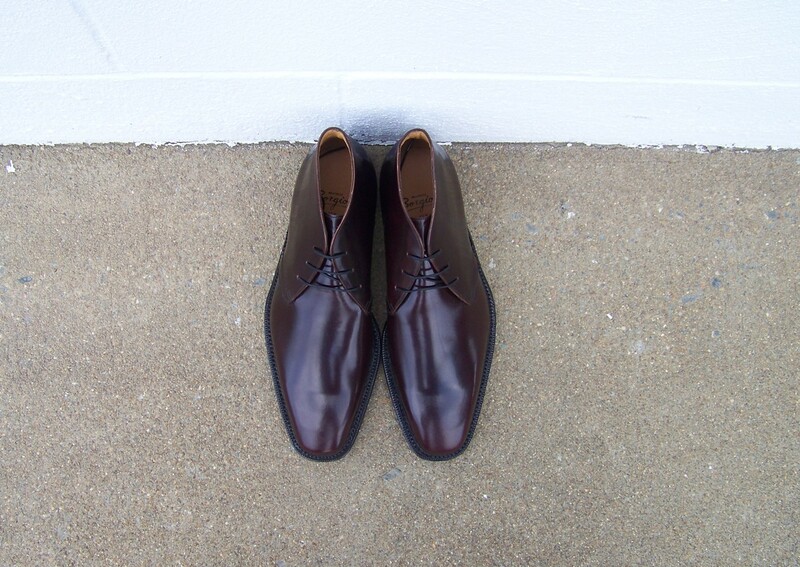 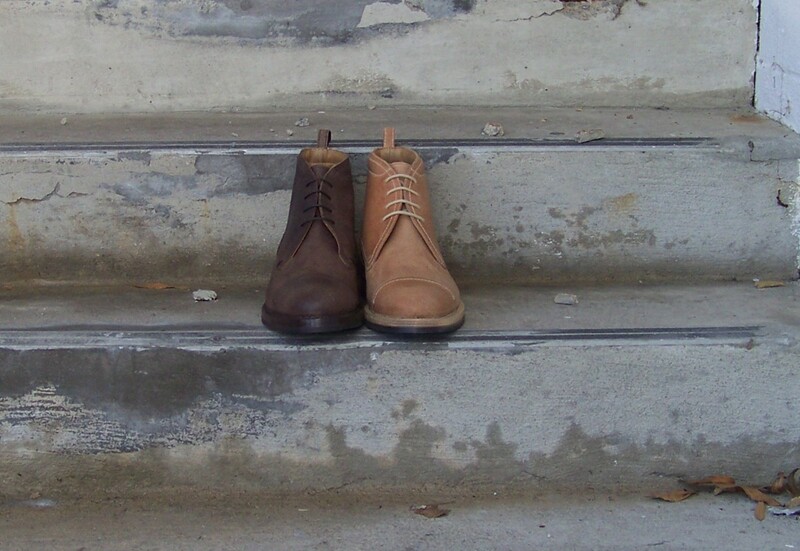 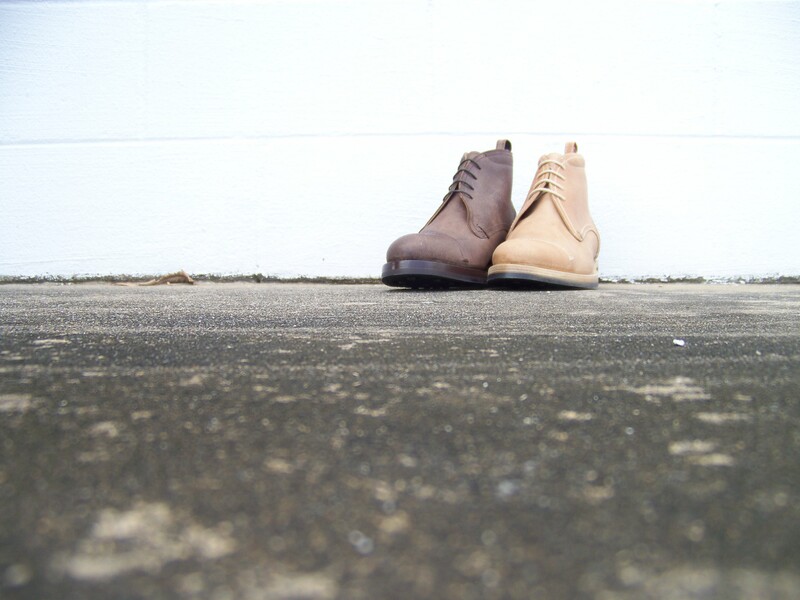 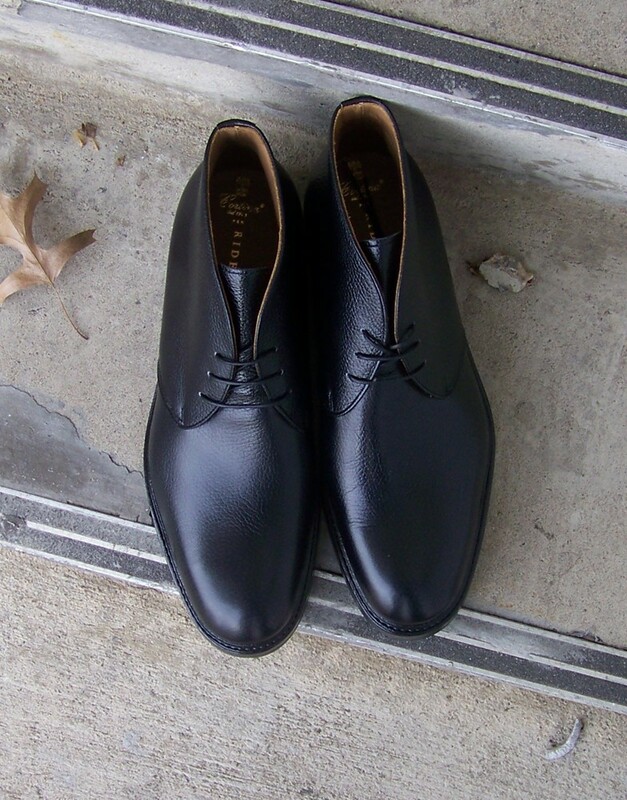 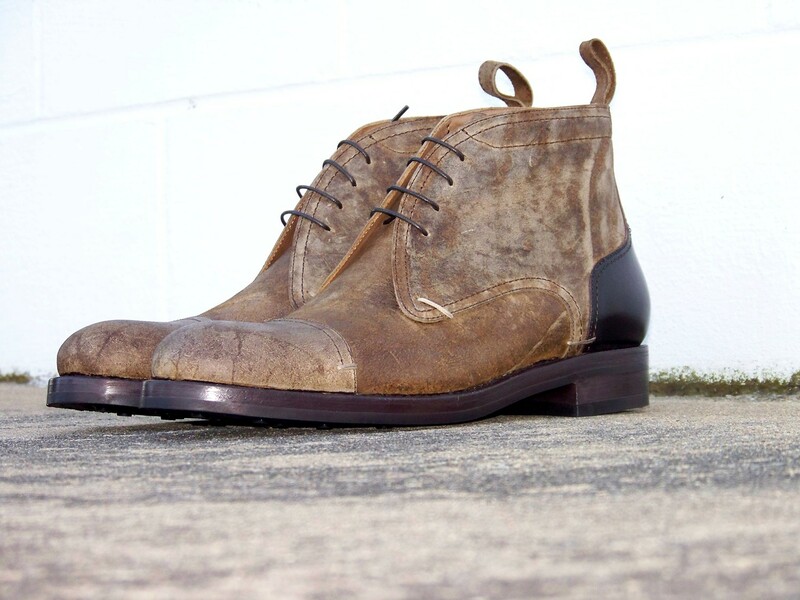 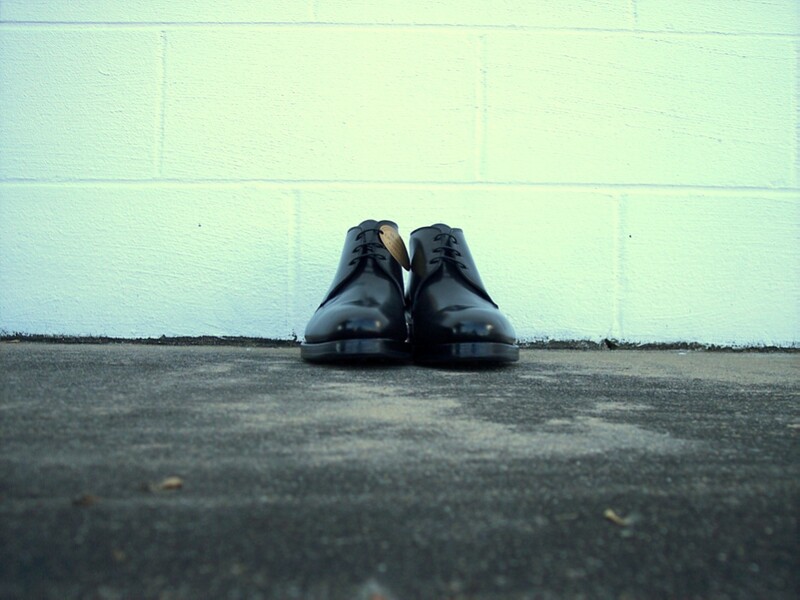 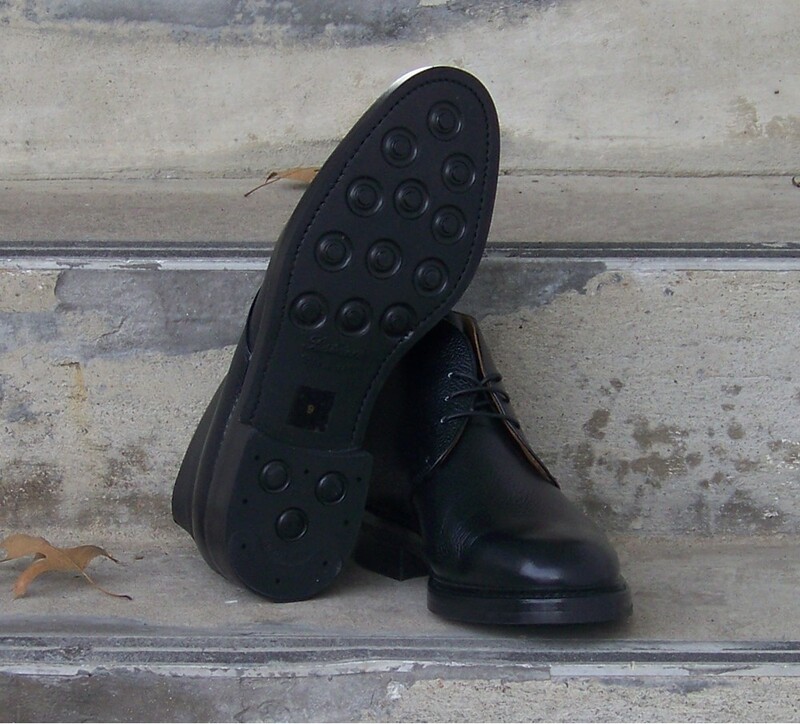 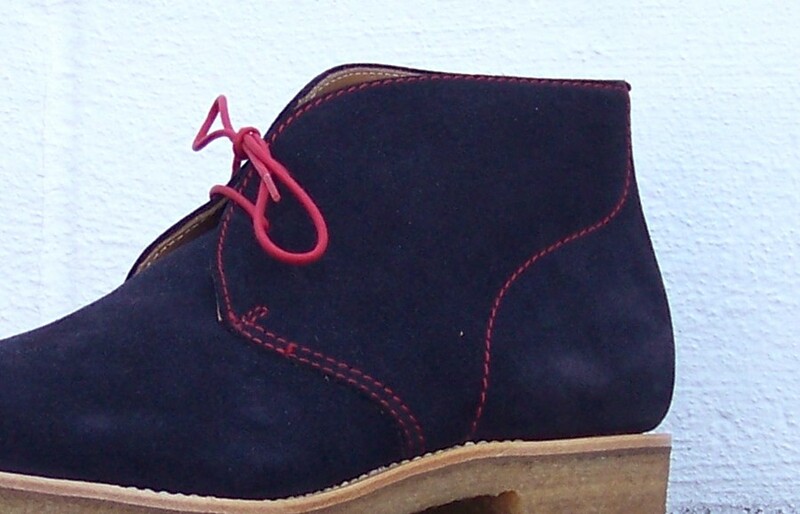 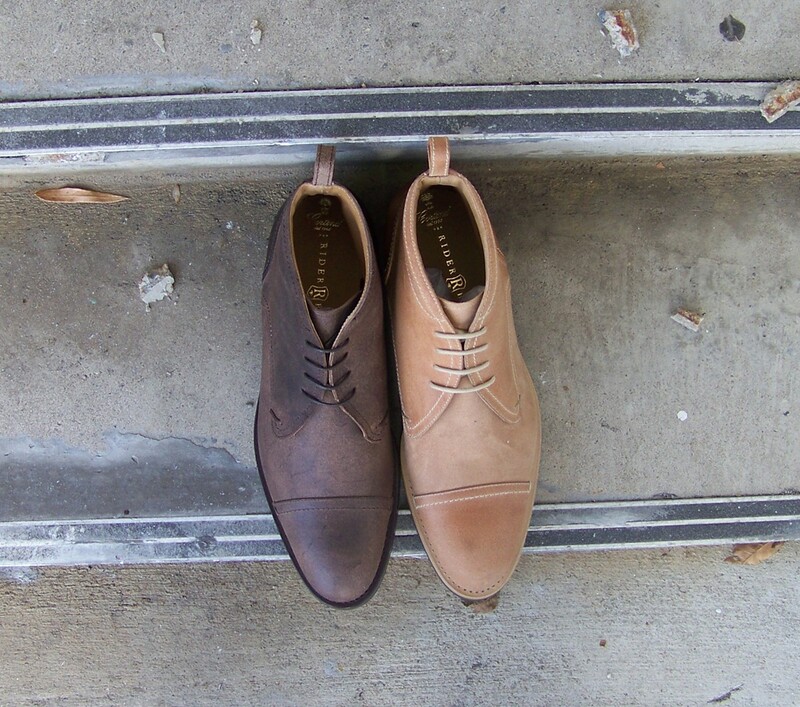 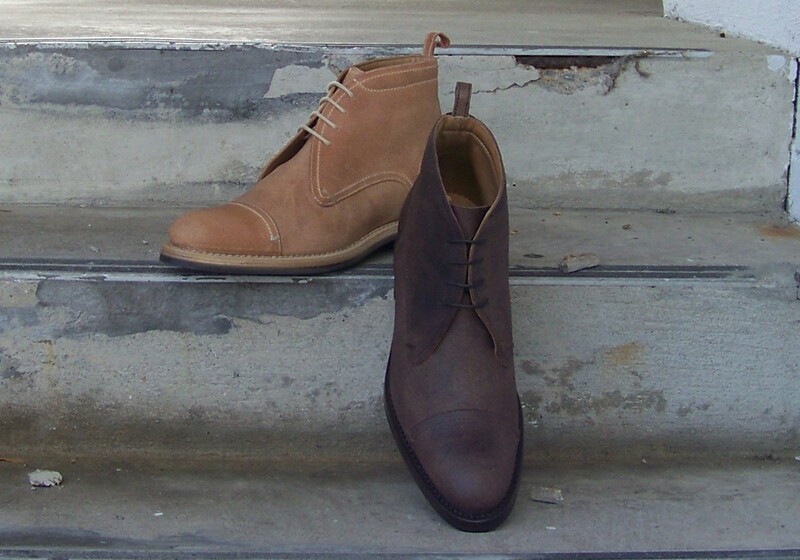 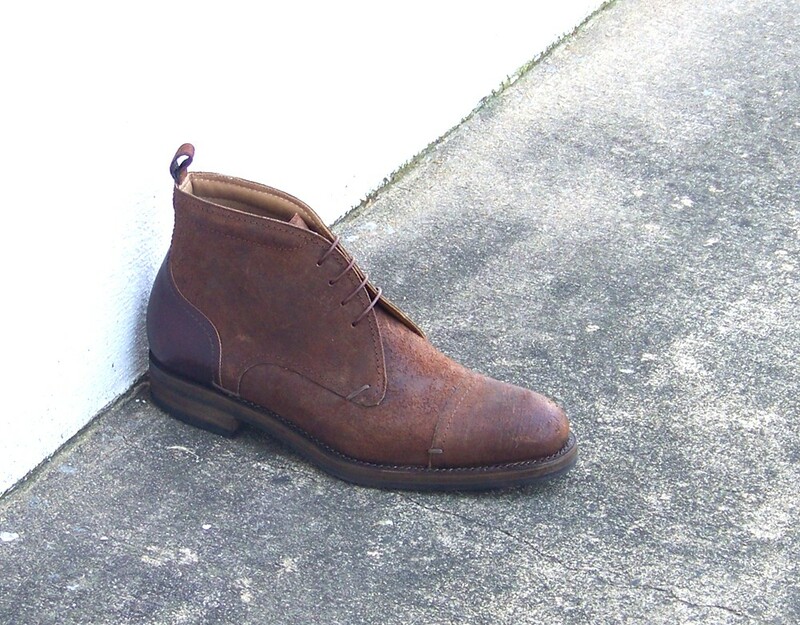 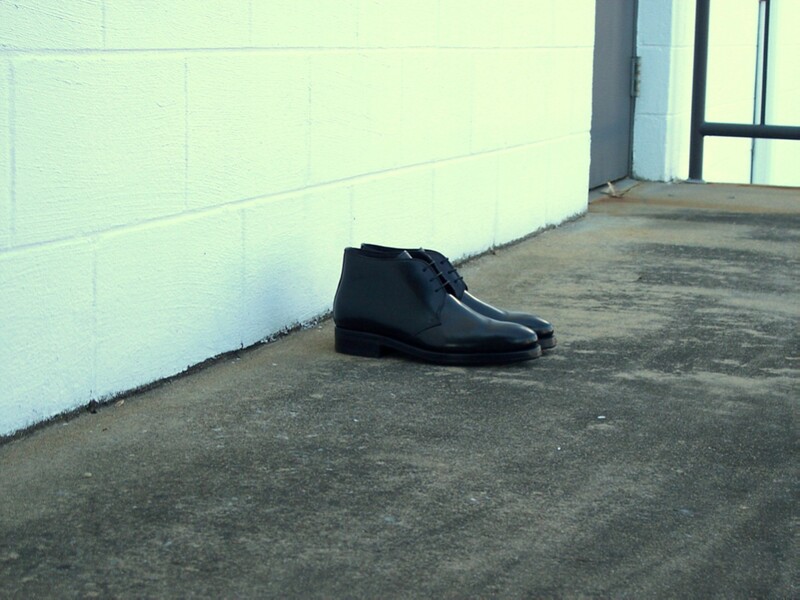 Only 6 pair were made of the original chukka boot pictured here, so don’t wait on this one! 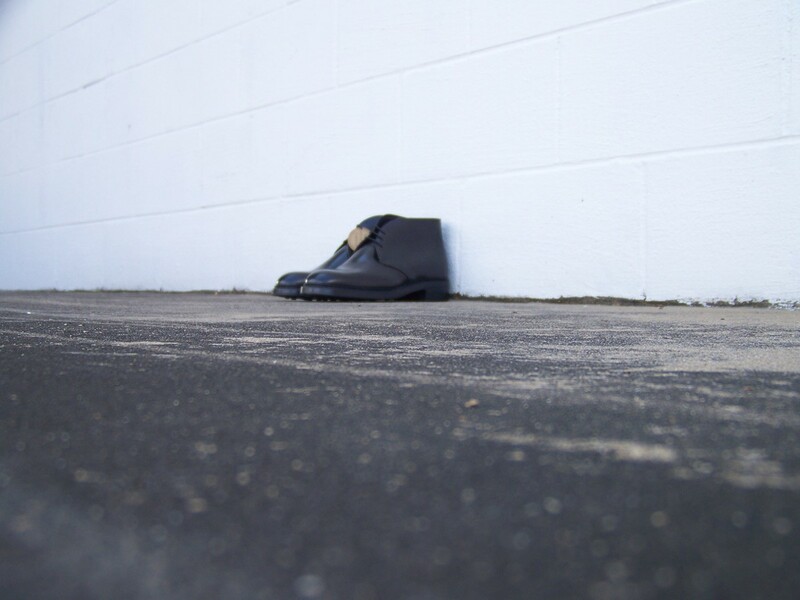 Hamed or Soodie can help you at the shop….. 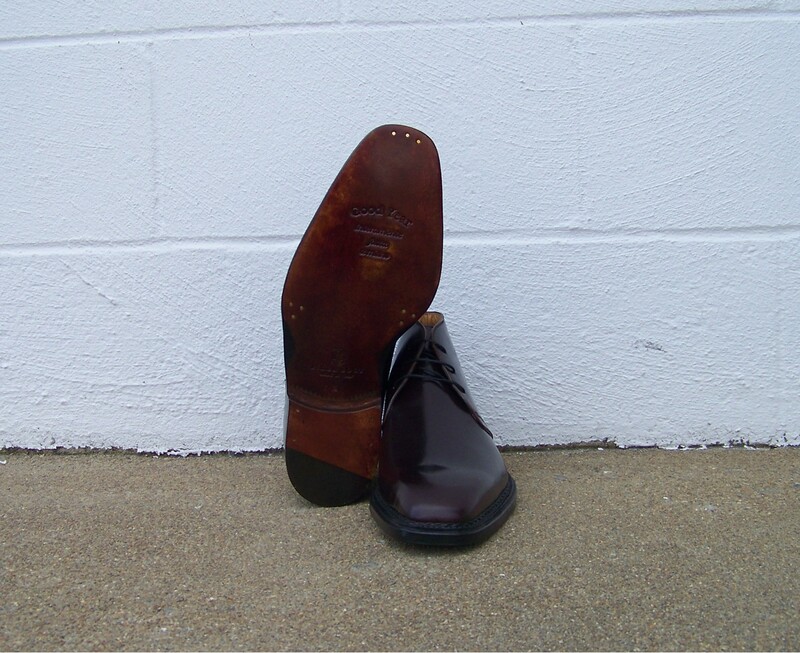 Built on 42 last, this chukka fits great….classic round toe with a slight ‘bump’, good room over the instep – one of the better fitters over years here. 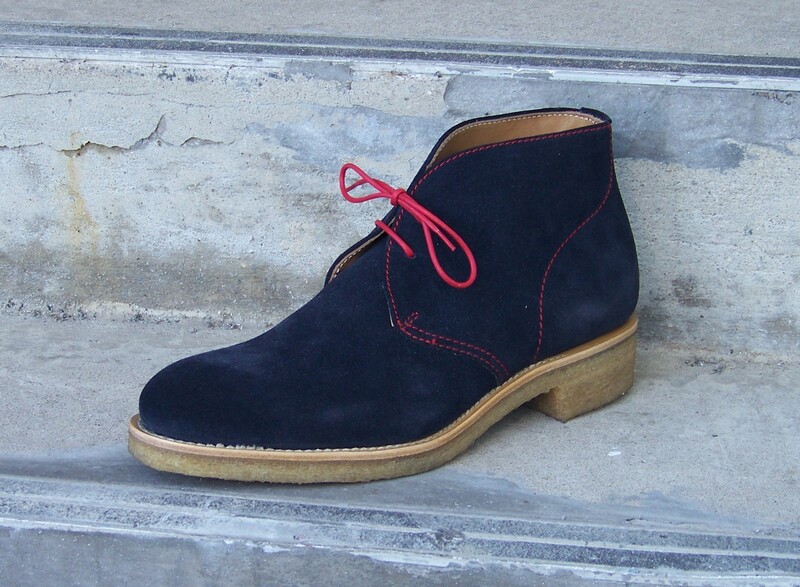 RBCB10 in Navy will be initially available in a limited run of sizes and pairs – 8 pair total, sizes 8 1/2 to 11. 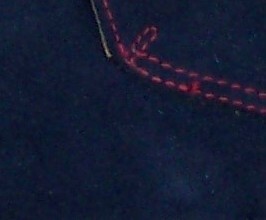 Price will be $550 and should be available by October 1.
and I will be happy to obloge. 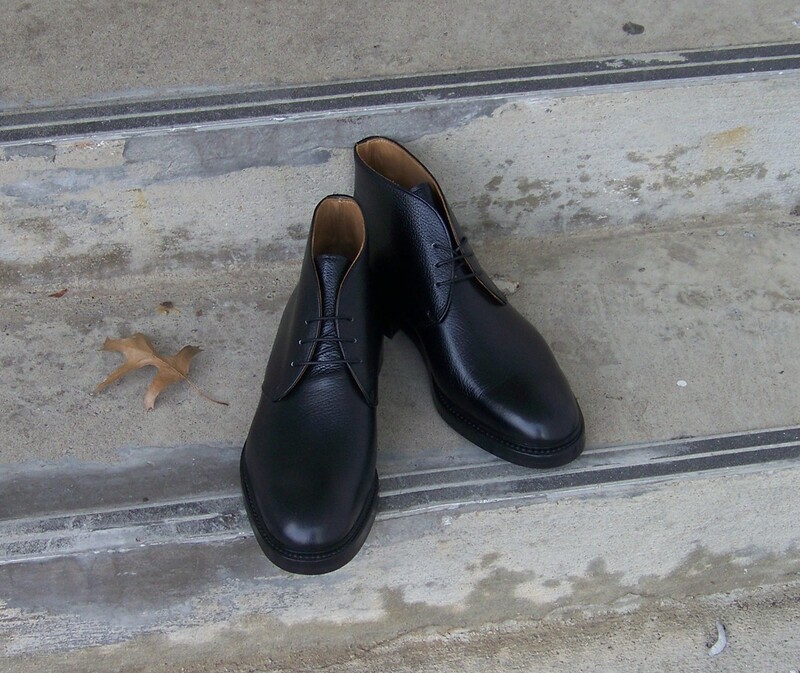 My friend Mark Metzger at Highcliffe Clothier, in lovely Middleburg, VA, joins the party this September. 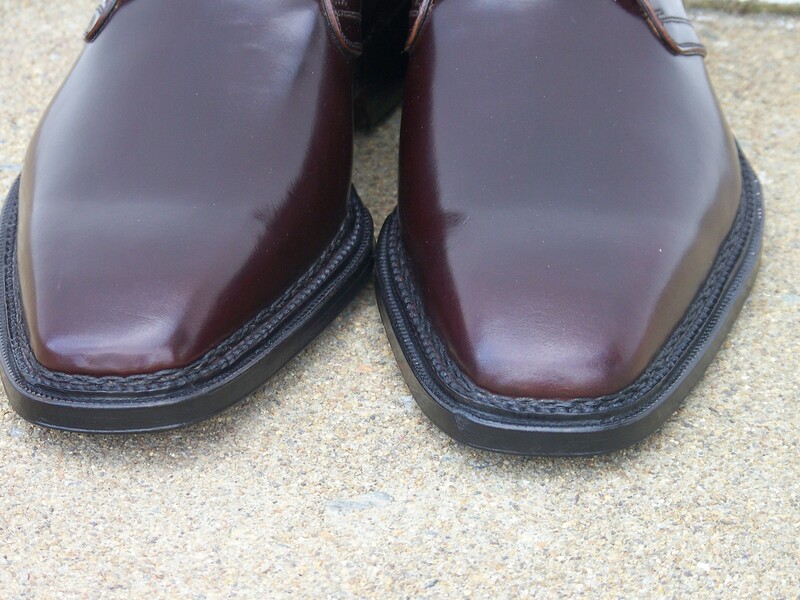 I delivered a range of Saphir Shoe Care products yesterday to his shop, and we will be shipping the Hobo Boot (RBHB1) in 2 colors this September.